If you’re looking for a badass, pro-feminist Halloween costume that costs little-to-no cash, here it is, in all its glory. 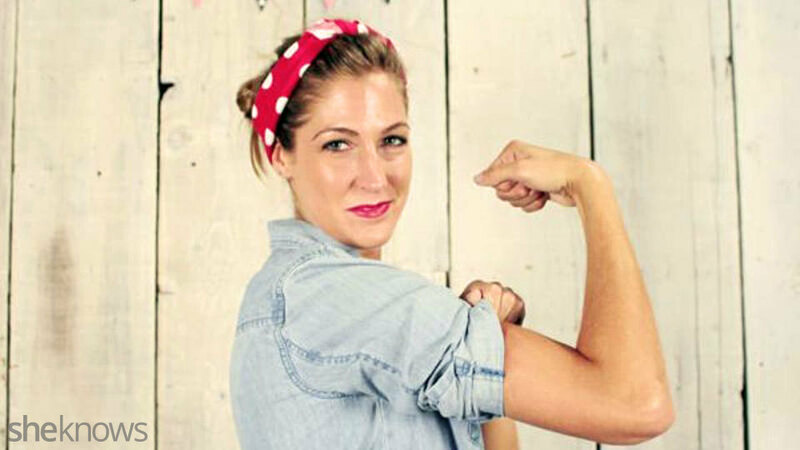 The iconic Rosie the Riveter costume has a great story behind it, as the ultimate emblem of female empowerment. Good ole’ Rosie was the star of the government campaign used in the 1940s to recruit women into the workforce after the men had gone off to war, and she’s still going strong and inspiring women today. Tip: Trace your circle in a corner of the cardboard, so if you mess up, you have plenty left to start over. For this step, you’ll need a safe surface upon which you can easily cut through cardboard. 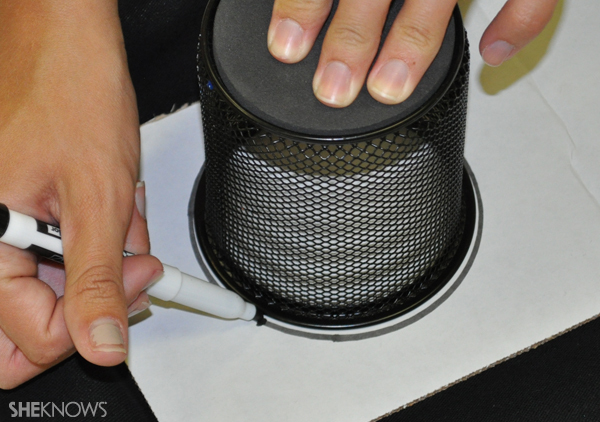 Take your scissors or knife and cut out the circle you just traced. It’s easiest to put the scissors all the way through a point in the cardboard and drag them the rest of the way around the circle. Once you’ve cut the circle away from the rest of the cardboard, go back and clean up any messy or lopsided edges with your scissors. All you have to do for this step is write. 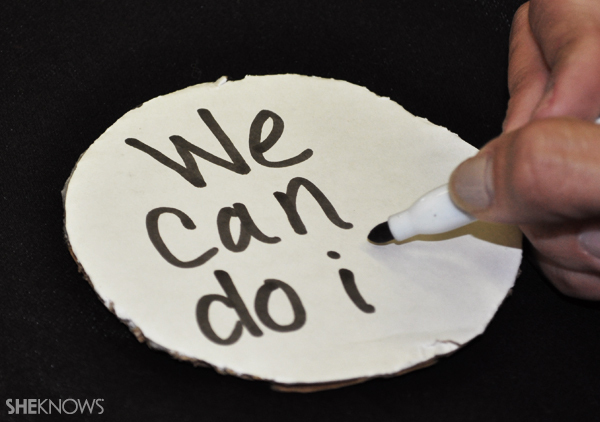 Rosie is associated with the quote, “We can do it!” and that’s exactly what you write on your pin. (Separating the quote onto two lines will help it fit best.) Let’s face it, some of us just don’t have beautifully scripted handwriting, so if you fall into that category, don’t feel guilty printing the phrase out in a nice, bold font and gluing it to your pin! This isn’t your typical paisley-print bandanna, so check out your local fabric store to get the exact Rosie the Riveter pattern. You’ll only need about half a yard of the fabric, enough to be able to tie it around your head. Once you have your fabric, fold the square in half and then into a triangle, and then start with the point and fold the fabric up to the opposite end. 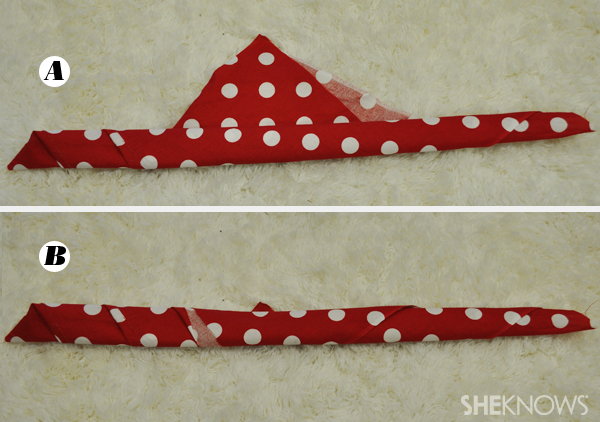 You can make the bandanna as thick or thin as you want, to cover more or less of your hair.